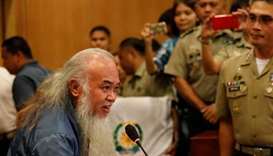 Philippine troops rescued a catholic priest held hostage for almost four months by Islamic State-linked rebels after an offensive that captured a stronghold of the militants in southern Marawi City, defence officials said on Monday. 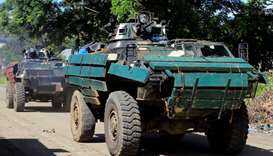 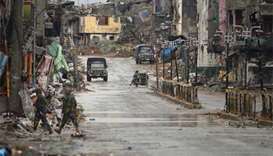 The crisis in Marawi city has posed a serious threat to the government of President Rodrigo Duterte, who has deployed thousands of troops and imposed martial law across the southern third of the country. 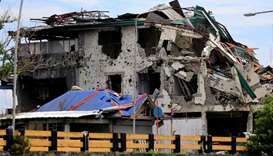 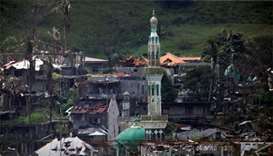 A Philippines politician said on Thursday residents fleeing the besieged Marawi City had seen hundreds of dead bodies in an area where intense fighting has taken place between security forces and Islamist militants in the last three weeks. 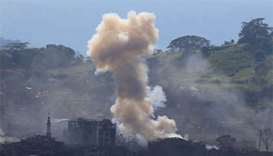 Armed US troops are on the ground near Marawi City in the southern Philippines, but are not involved in fighting Islamist militants who have held parts of the city for more than three weeks, a Philippines military spokesman said.